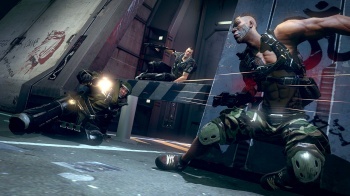 Bethesda's upcoming Brink has received a lot of promotion about how customizable its characters are. However, Bethesda wants you to know that the game's characters are really customizable. The company's revealed that the game's different attributes can result in 102 quadrillion unique characters. Brink is due out in stores next week, so you'll get to check out the customizable character options pretty soon. Keep an eye out for our official review in the near future.